If you are feeling overwhelmed by the state of today’s world, from the stress of living life with a caring heart, or from difficulties or trauma you have endured, this workshop is for you. Participants will be provided with practical information to help them recognize, navigate and ease the burden of overwhelm in their daily lives; to learn how to care for self while continuing to care deeply about others. As a community-building event, a deep discount for this workshop will be given to teachers, firefighters, EMS personnel, police persons, and professional caregivers who work in Mason County. Includes program content, materials, a healthy lunch, and breakfast/break refreshments. Contact Hours for attendance will also be provided for those who request that documentation. As a community-building event, if you are a teacher, firefighter, EMT, police person, or professional caregiver in Mason County the cost of this workshop is reduced to only a $25 registration fee. Laura van Dernoot Lipsky is the founder and director of The Trauma Stewardship Institute and is widely recognized as a pioneer in the field of trauma exposure. The author of Trauma Stewardship: An Everyday Guide to Caring for Self While Caring for Others and The Age of Overwhelm, Laura also served as an associate producer of the award-winning film, A Lot Like You. 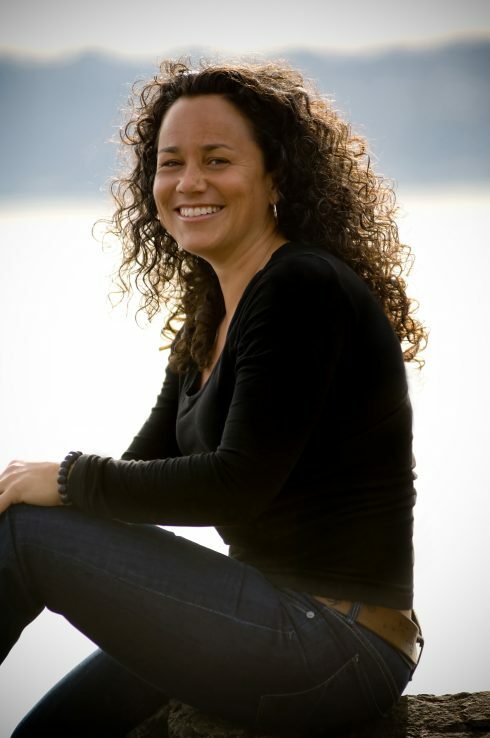 She has worked locally, nationally, and internationally as a social worker, consultant, public speaker, author and community activist assisting victims of abuse, violence, and trauma of all kinds, while also working as an activist in organizing movements related to social and environmental justice. Through her work Laura has studied systematic oppression and liberation theory and has examined the lasting effects of exposure to suffering, hardship, crisis, and trauma endured by humans, other living beings, and the planet itself. She has worked with health care providers, teachers, physicians, firefighters, and police persons, and regular individuals coping with the trauma and stress of life, and recognizes the sense of overwhelm familiar to us folks from all walks of life. Laura will lead this workshop as our plenary speaker, offering her knowledge and wisdom in directing participants to achieve their optimal contribution as caregivers while also attending to their own needs for care and healthy living. Jackie Levin is a Board Certified Advanced Practice Holistic Nurse and Wellness Coach, Jackie is also a published author, public speaker and patient advocate with more than 30 years of experience in healthcare. As a healthcare provider in urban and rural communities from New York to Port Townsend, Jackie has experienced the stress of care giving and the unique challenges of various community living settings. With her expertise in mindfulness practices and both health and leadership coaching, Jackie will offer time at the end of this workshop for participants to apply the knowledge they have gained and to build a plan for personal resilience.